Special Containment Procedures: SCP-207 is to be stored in a waterproofed locking metal container measuring 1 m x 0.5 m x 0.5 m. The key is to be issued to the current head researcher of Site-██'s bio-containment area. SCP-207 is to be retained inside this area at all times, and all personnel entering the area should be checked for any food or drink items, in addition to any other searches required. Any staff seen ingesting SCP-207-1 are to be retained for future study, with all Foundation clearance levels removed. Description: SCP-207 refers to a crate containing 24 Coca-Cola brand cola drinks. The bottles are designated SCP-207-A to -X. SCP-207-B is currently the active bottle for testing, and no other bottles are to be opened without authorisation from two Level 4 researchers. All bottles have been clearly labelled to aid identification. The liquid held inside these has been confirmed to be identical across all of SCP-207, and should not be ingested outside of supervised testing. The liquid has been classified as SCP-207-1, and is to be treated as a Class 2 chemical hazard. SCP-207-1 does not appear to alter with age; however, the active testing bottle should have its protective cover kept on outside of removing liquid for testing. Mass spectroscopy and chemical tests have shown higher than usual concentrations of caffeine and sugars (both natural and artificial), along with [REDACTED]. The practical effect of this is when a subject drinks SCP-207-1, they will effectively no longer require sleep or rest, nor attempt to sleep or rest. This effect is not lessened by any soporific or medication yet tested on test subjects. However, only a quantity larger than five (5) millilitres will cause this effect. The reason for this lower boundary existing has not been found, although it is hypothesised by Dr. C█████ that [REDACTED]. As such, unless authorised by two Level 3 researchers, only five (5) millilitres of SCP-207-1 is to be used for testing. Amounts higher than this have shown no difference in effect, with the exception of the Subject SCP-207 was recovered from (See addendum). In addition to removing the need for rest, SCP-207-1 also causes an increase in motor, reaction, and psychological functions. The increase is linear in progression, with an estimated 50% increase (measured by standard medical protocols, +/-5%) every 6 hours. The practical application of ingestion is that the subject is able to think, react, and move faster than others who have not ingested SCP-207-1. Mental proficiencies show the IQ of the subject to rise in line with other increases. However, SCP-207-1 does not alter the body of affected subjects. Physiology remains unchanged, and as such, can rarely support the increase in activity. No subjects have lasted longer than 48 hours during testing, with the cause of death varying from massive internal organ failure to exsanguination due to major artery ruptures. Subjects also begin to show stress after roughly 24 hours, usually making each movement extremely carefully, in order to avoid accidents. Tests SCP-207-Alpha and -Rho have shown that after approximately 24 hours, the increases caused by SCP-207-1 mean subjects can easily underestimate their speed. Most specifically, in test SCP-207-Rho, the subject was able to escape the containment area, despite a five (5) metre wall. However, this caused the test subject's internal bone structure [DATA EXPUNGED]. Addendum: SCP-207 was recovered from ███████ College, after reports of student ████ █████ moving from failing grades in all areas (including physical sports) to top percentile marks, and record-breaking performances in physical areas. Agent ██████, embedded in the local police force, brought ████ █████ in for interview. Subject revealed the existence of SCP-207 during the interview; however, escape attempt while Class A Amnestics were being administered resulted in the subject violently [DATA EXPUNGED]. Cause of death: organ failure due to massive internal hemorrhage. 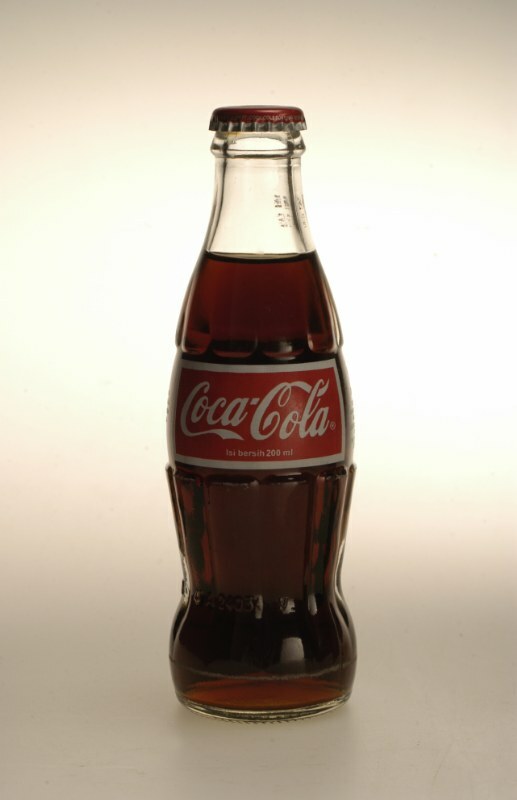 As SCP-207-A was empty on recovery, it is believed ingesting a full bottle [REDACTED]. SCP-207 recovered from subject's home, SCP-207-A already empty. ████ █████ reported to local police force as missing person; no further cause for surveillance of ███████ College required at this time.